What Happens When You Launch Flower Bouquets Into Space? « Adafruit Industries – Makers, hackers, artists, designers and engineers! What Happens When You Launch Flower Bouquets Into Space? Flowers are fragile objects that only last a few days once they’re cut. To Tokyo-based botanical artist Azuma Makoto, the transience of flowers is pure poetry since we’re able to behold their beauty and slowly watch them decay. His interest in the blooms is an “attraction to things that fade,” he told GQ earlier this year. Makoto explores this phenomenon through his series, In Bloom, in which he places ornate bouquets in environments that accelerate their eventual demise: in outer space, under the ocean, in blocks of ice, and in the desert. This month, he completed Exobiotanica 2, the fourth installment in the series, which he first began in 2014. On August 12, Makoto and his team traveled to the desert in northwest Nevada, near the town of Lovelock. 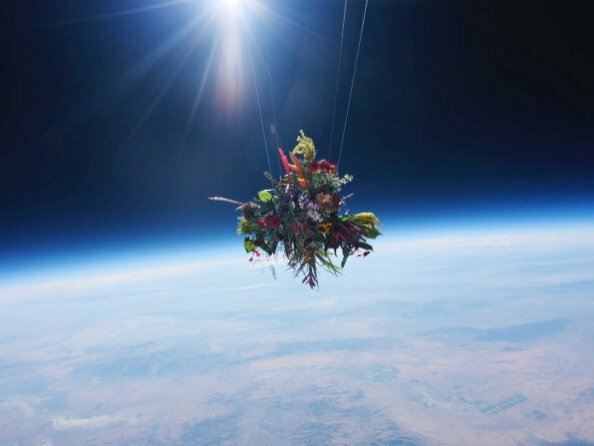 They hitched three enormous bouquets–they were composed of over 100 kinds of flowers and attached to frames that weighed more than 12 pounds and measured nearly five feet across–to balloons, which lifted them about 100,000 feet into the atmosphere, exposing them to temperatures as cold as -47 degrees Fahrenheit. The bouquets ascended and froze, their flower petals broke off, and they eventually fell back to Earth. Onboard cameras documented their round-trip journeys, which lasted between two and two-and-a-half hours. 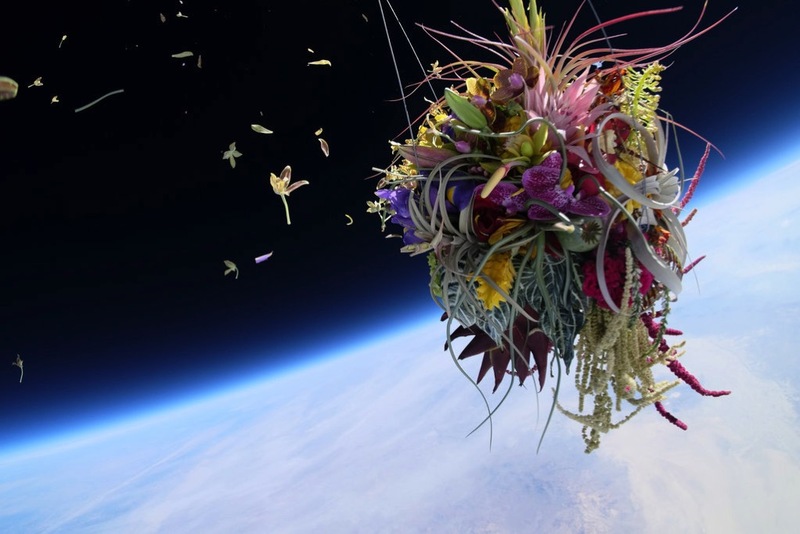 Makoto plans to release a documentary film about the project this autumn, but for now, he shared a few images of the bouquets in space–and they’re absolutely stunning. Comments Off on What Happens When You Launch Flower Bouquets Into Space?